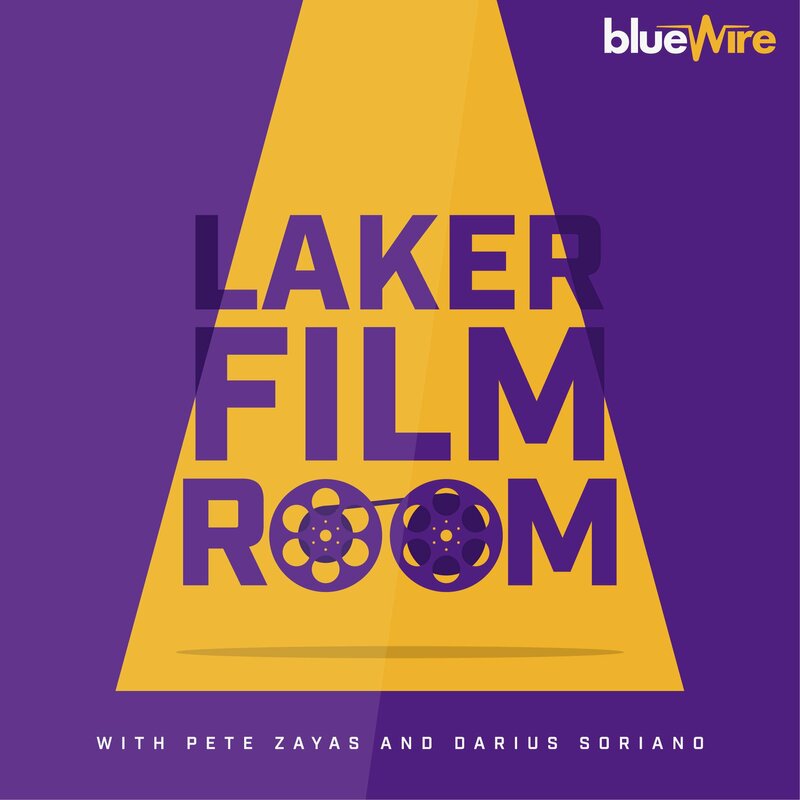 If you ever listen to the Laker Film Room Podcast — and you should! Subscribe, rate, and review! — you’ll know that one of my favorite ways to answer a question is “yes and no”. My guy Pete will inherently ask me a question about the team, maybe something about whether LeBron being out and how the team is using Brandon Ingram and Lonzo Ball offers us anything of value for long term development, and I’ll tell him “yes and no” then proceed to argue both sides of the point. This is, usually, my attempt to get to some sort of truth I can believe in. It’s also insight into how my mind works. If we were to record a podcast today and Pete were to ask me “are the Lakers terrible?” it would allow me to again drop my favorite answer. Yes and no. Because the Lakers are terrible. The Lakers are also not as bad as we think. But I would understand why the recent sample would have you believe otherwise. In the last 10 games, all without LeBron, the Lakers have a 3-7 record. During that stretch they have an offensive efficiency of 97.8, good for dead last in the league over that period. If that sample was spread over the full season, they’d be a full point per 100 possessions lower than the last-in-the-league Bulls, who are currently the only team in the league with an Offensive Rating under 100 for the season. Woof. Further, on an individual level, the players who have had the best opportunity to take a leading role during LeBron’s absence have all mostly flopped (in one way or another). Brandon Ingram is scoring fairly well at 18.7 points per night, but his rebounding is only slightly up and his assist to turnover ratio is basically flat at 3.4 to 3.1. He’s also only shooting 31.3% from behind the arc and 59% from the FT line during this stretch. Not great. Lonzo’s scoring is up to almost 12 points a night to go along with nearly 7 assists and 6 rebounds, but his outside shooting is streakier than the Bay to Breakers run and his FT shooting is 26.3% during this stretch — a level so dismal he’s been pulled from the lineup late in games because he simply cannot be trusted to convert freebies into needed points on the scoreboard. Kyle Kuzma had a huge scoring game in a needed win vs. the Pistons, but that explosion has propped up his 21.6 point scoring average during this stretch in a way that oversells his actual effectiveness. He’s not rebounding well enough, he’s turning the ball over the exact amount he’s assisting teammates (3 a night), and he’s hitting only 25.4% of his 3’s on 74 attempts over this 10 game sample. Josh Hart hasn’t been much better, shooting 36.2% overall and connecting only 25.5% of the 55 three-pointers during this stretch. Hart’s rebounding remains strong at 7 a night, but if your best trait as a shooting guard is your ability to corral boards in the defensive paint, that’s an issue in its own right. On the flip side, the Lakers defense has been strong since LeBron went down. The Lakers have boasted a Defensive Efficiency of 102.7 since Christmas Day, good for the 3rd best mark in the league over that period. Even though they’ve had their rough patches and haven’t played the stiffest competition, the only reason some of these games are close is because they’ve shown an ability to get stops when playing with the proper energy and focus. 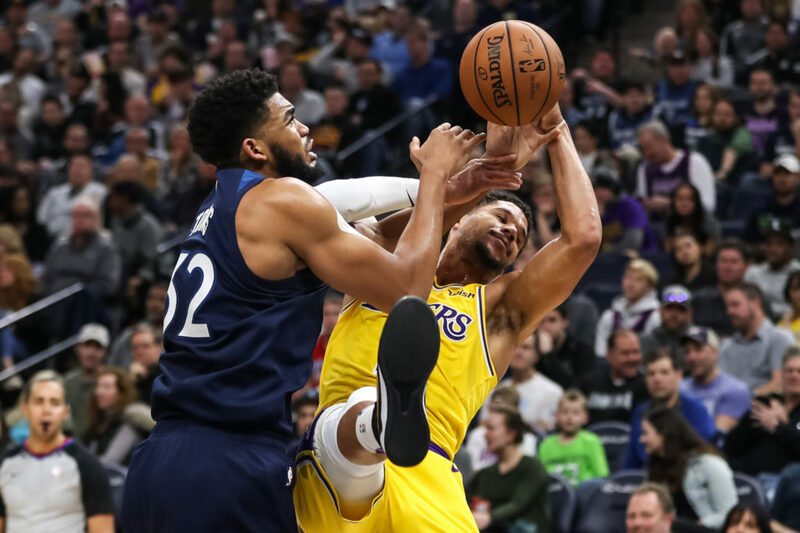 In the 2nd half of the Mavericks game, the Lakers put the clamps on and smothered Dallas’ offense to the tune of a 59.4 defensive rating and 30 total points. One could argue the Mavs game and a soft-ish schedule has boosted these numbers, but considering the Lakers defense has been a surprising strength this year, I’m going to give them the benefit of the doubt. Finding good things to highlight during an abysmal stretch of play, however, isn’t why I’m here. The Lakers look terrible now and it’s reflected in nearly every stat you can pull and from games of tape available to watch. But what the Lakers are now isn’t what they were before, you know, that LeBron James guy pulled his groin. After the Lakers beat the Warriors on Christmas Day, they were 20-16 and 4th in the conference. They were 15th in offense and 10th in defense — while trending up on that end of the floor. After acquiring Tyson Chandler, they were actually in the top 5 in the league in defense and winning games with a formula of getting stops and then scoring just enough — in transition and in the clutch — to pull out games. We can wonder how sustainable that model would be over the long haul, but we know to that point it was working. If you’d have given every western conference playoff team the truth serum in the wake of the Warriors game (and assuming a healthy LeBron), I’d be the Lakers would have ranked pretty high on the “we’d happily avoid them if we could” list of playoff contenders. Of course, even though all that was exactly 3 weeks ago at the time I’m writing this, it feels like it was 3 months ago. That team seems long gone. The recent results and level of play make that so. But, I implore you to not forget that version of the Lakers. Because while the Lakers are terrible right now, the very recent past tells us they’re not as bad as we think they are.